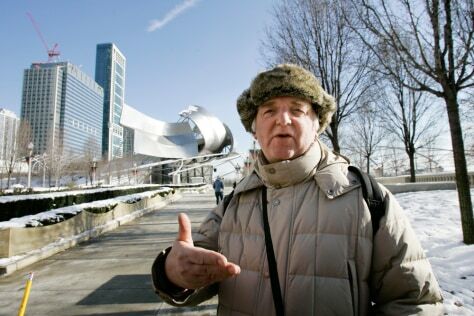 Paul Morrison, a psychiatrist from Edinburgh, Scotland, strolls through Millennium Park in downtown Chicago on Jan. 4. Morrison is one of many tourists to the city who think the winter is a good time to visit. The city and hospitality industry are trying to convince more visitors to come, promoting everything from nine ice rinks around the city to deals at hotels and museums.